Article by José Perez, Om Arvind, Sergio Sampaio, Erik Elias and guest writer Siddharth Ramsundar. In this special Champions League knockout preview, we will assemble the knowledge from our team of tactical experts to bring you a preview of each club ahead of these decisive matches. The Champions League is back. Knockout football, baby! Yesterday, we told you all about the four teams in action last night. PSG surprised with an interesting formational choice that worked very well to exploit the holes in Manchester United’s defense, while nullifying their counterattacking threat. AS Roma set up in a much more defensive shape than usual and ran out winners against Porto. 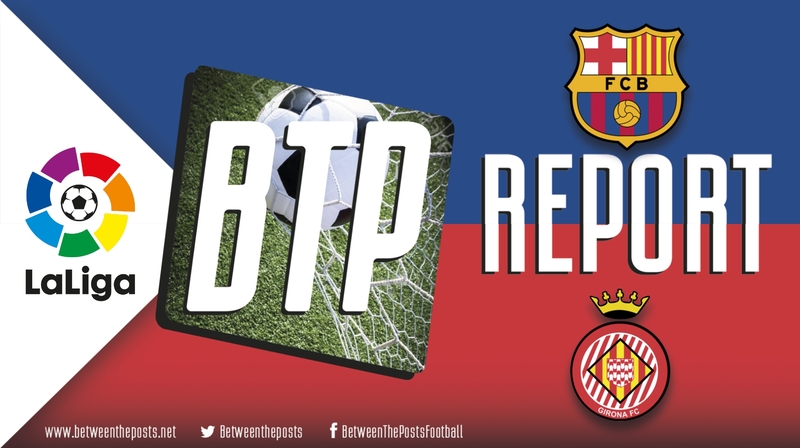 Today, we will continue our Champions League preview series with part two. With decline and departure of Moussa Dembélé and the health problems of Eric Dier, manager Mauricio Pochettino was forced to reformulate his team’s game plan. Anchored by the unexpected midfield duo of Moussa Sissoko and Harry Winks, Tottenham have become a more direct team this season, at the expense of a less effective pressing. 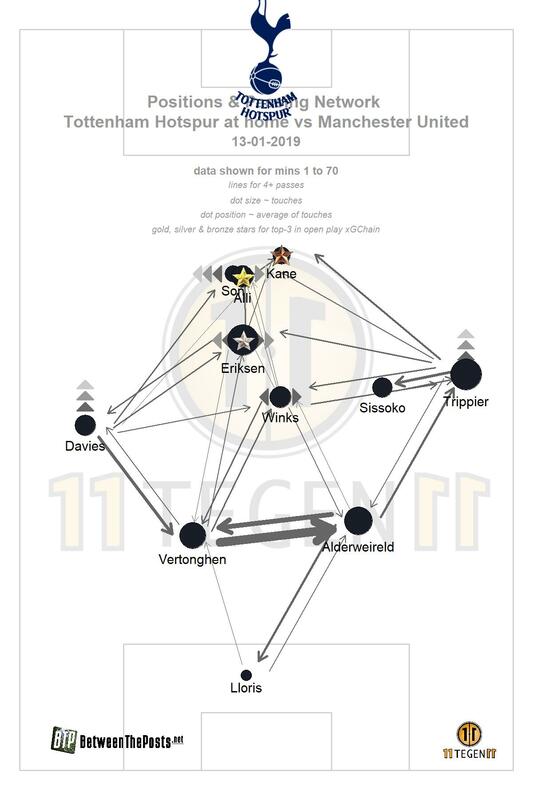 Their primary strategy to progress through the pitch are vertical passes, often from Toby Alderweireld and Kieran Trippier, all the way to their striker duo, Harry Kane and Heung-Min Son. Tottenham will usually take on a 4-2-3-1 shape or a 4-3-1-2 midfield diamond, with Dele Alli playing the role behind the strikers. However, Pochettino is once again forced into reformulating his game plan after a winter injury crisis, which includes the potential season-shaping two-month injury of star striker Harry Kane. After a few low-key years, Borussia Dortmund is once again on the front pages of European football. Manager Lucien Favre has built a strong collective unit that currently leads the Bundesliga ahead of eternal favorites Bayern Munich. 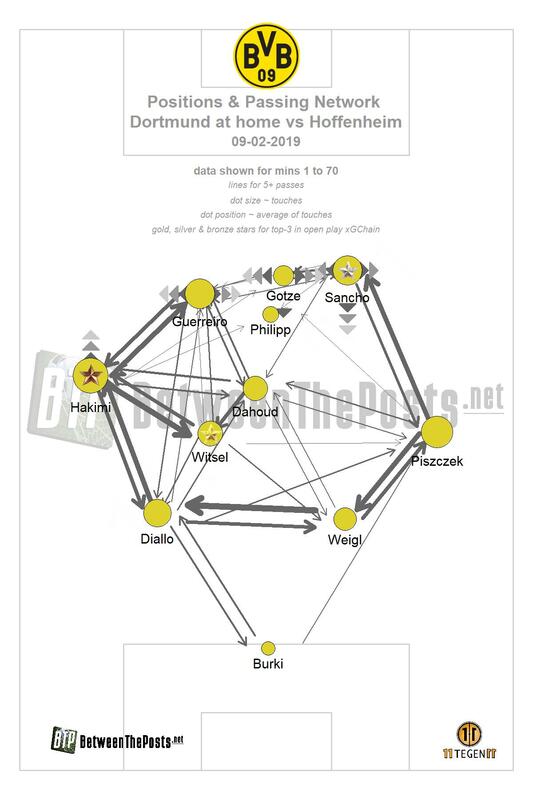 Dortmund usually lines up in a nominal 4-2-3-1 shape, and as expected, utilize all the classic “Favreball” principles. Defensive solidity through a low to medium block A low block refers to a team that retreats deep in their own half out of possession, generally only disrupting their opponents around their own box. A medium block refers to a team that retreats in their own half out of possession, generally only disrupting their opponents some way into their own half. Favre has just the right personnel to implement his ideas very quickly and very well. Dortmund has young and talented ball-playing center backs (Manuel Akanji, Dan-Axel Zagadou, Abdou Diallo), a solid and hard-working double pivot (Thomas Delaney, Axel Witsel), and a wealth of young, fast and skillful attackers (Max Philipp, Jadon Sancho, Christian Pulisic, Bruun Larsen, Paco Alcacer). At the center of this group lies the monumental captain Marco Reus, who after years of injuries is once again having a season worthy of his tremendous talent. Against a big team like Tottenham, Dortmund usually takes the more reactive stance. They will look to stay back, steal the ball and launch quick transitions through the speed and combination play of their talented attackers. If Favre wants to focus more on quick transitions he could start Alcácer, while if he wants more control in midfield he would start Mario Götze instead. One serious issue in Dortmund’s plan, though, is that Marco Reus just suffered a thigh injury and is still in doubt for the first leg. If Reus does not make it, Götze or Philipp could replace him. Dortmund will try to aim their offensive power at Tottenham’s defensive weak spots: central midfielders and fullbacks. Despite their growth this season, neither Sissoko nor Winks are good defensive assets in midfield. Dortmund has the right personnel to exploit spaces behind their backs or beat them in one-versus-one duels. The same can be said about the matchup between Dortmund’s talented wingers and Tottenham’s fullbacks Trippier and Rose. Perhaps Jan Vertonghen could provide more defensive cover as a left back. Tottenham is usually the more proactive, pressing and possession-oriented side, particularly within their current personnel limitations. Son and Lamela will have to step up in the absence of Kane and Alli, ready to attack the channels between Dortmund’s defenders. This task will be made harder by Dortmund’s tight defensive organization and the fact that strikers Fernando Llorente and Lucas Moura will not drag Dortmund’s defenders out of position the way Kane does. However, if central defender Zagadou will not return from injury in time for the first leg, Tottenham might be able to exploit a shakier Julian Weigl, who is currently being deployed as an emergency defender. 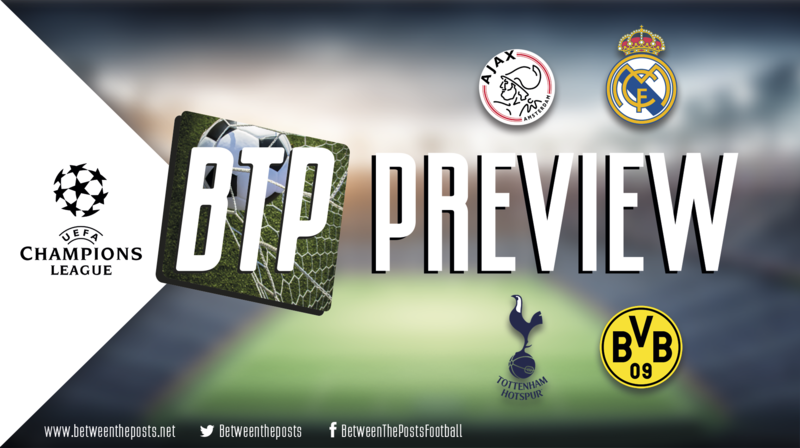 In spite of their good results in the league, Tottenham increasingly look like a ship with too many holes to plug, and Dortmund seems to have the right tactics and personnel to exploit their issues. Especially if Reus gets to play both legs, Dortmund look like favorites. Real Madrid primarily operate in an attacking 4-3-3 formation that is defined by Santiago Solari’s hyper-fluid offense. Forwards are encouraged to express themselves as much as possible, making eighteen-year-old left forward Vinícius Júnior a key figure. His breathtaking skill, pace, and fearlessness has breathed new life into Madrid’s attack and has served as a launching pad for Benzema’s resurgence. The teenager’s energy has also helped Madrid execute a competent counterpress, which has relied more on sheer work-rate than an organized structural process. Consequently, it has started to look suspect in recent games, though Real Madrid’s high press continues to look solid. Madrid’s recent turn in form has also been aided by Luka Modrić, who has finally recovered from his World Cup exploits. Just having him back at somewhere near his best means that Madrid have better ball progression, higher-quality shots, and another player to put out fires in defensive transition. 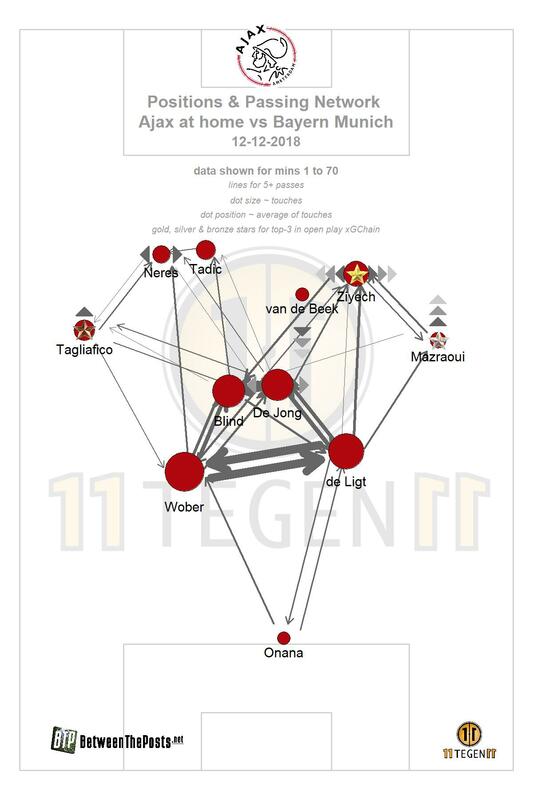 Ajax are a very possession-oriented side this year under manager Ten Hag. They operate in a nominal 4-2-3-1 shape, which converts to a 3-1-5-1 structure in buildup. Frenkie de Jong drops back to assist the buildup from left center back, while Lasse Schöne remains as a single ‘number six’. In the second phase of attack, a sort of very offensive 2-2-6 formation appears, as Hakim Ziyech and Dušan Tadić both drift inside as number tens, starting from the wings. The wide areas are then covered by both fullbacks who often make offensive contributions from high positions. The actual number ten, Donny van de Beek, plays almost as a second striker, with de Jong and Schöne also possessing the license to join the attack. Their experience in a possession-based set-up, and the presence of players like De Jong, makes them a fairly press-resistant side. This allows them to control most games, though they ironically play best when proceedings are open and chaotic – similar to Olympique Lyonnais. However, in their first three Eredivisie games in 2019, Ajax have inexplicably looked extremely shaky. Their organization is all over the place, the counterpress has collapsed, De Jong and Schöne do not track back in time, and star defender Matthijs de Ligt looks stretched and overwhelmed. It is difficult to say whether Ajax’s recent rut is a mere blip or a signal of something deeper, but it is clear that these issues could not have arisen at a worse time. Just as Ajax is falling off, Real Madrid are getting better. Furthermore, Ajax’s possession-oriented style means that their opponents are usually forced into playing in a reactive manner, something that suits Solari’s men extremely well. 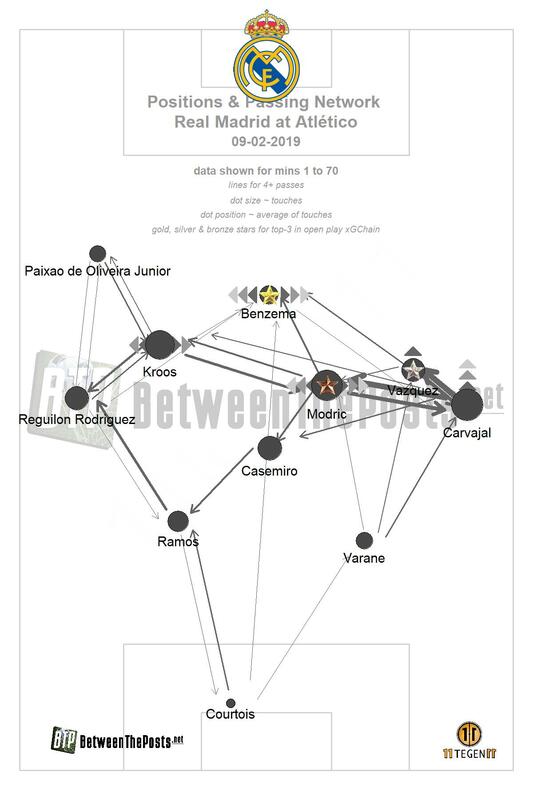 Real Madrid beat Real Betis playing a counterattacking game and initially looked like they could overwhelm Barcelona through the Benzema-Vinícius connection in transition. Unless Ajax manage to fix their structural issues, Madrid’s attackers could have a field day. Real Madrid get tested by Ajax but end up progressing to the quarterfinals fairly comfortably. 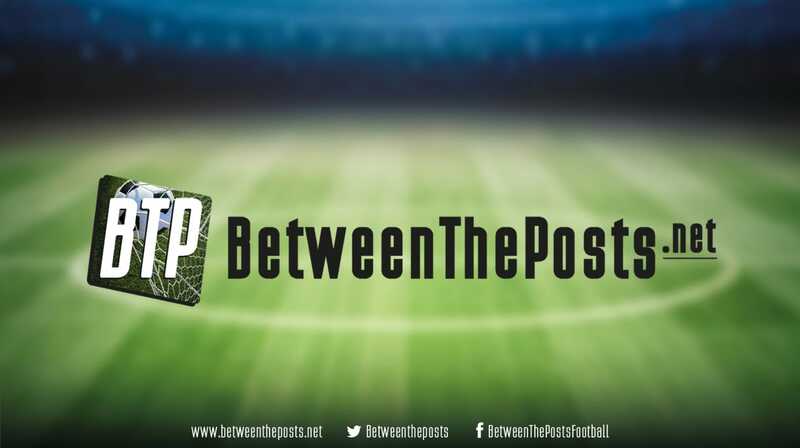 This will grant you access to all our coverage of the top five leagues and the Champions League, including our analysis of last night’s match between Manchester United and Paris Saint-Germain. Members will also get to explore our advanced team stats page. Finally, members are encouraged to post comments and interact with our writers.